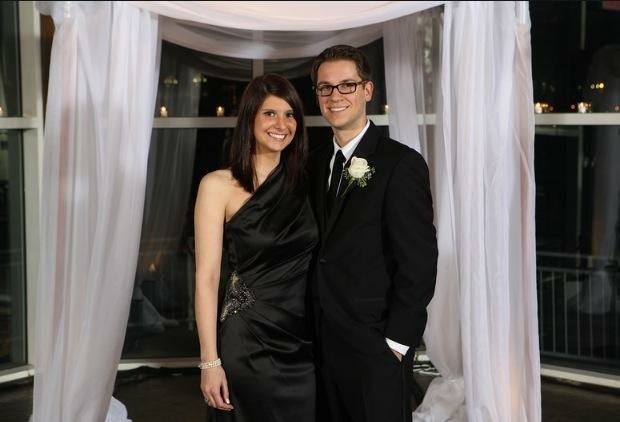 It's safe to say we were the first Binghamton couple from the class of '04. We met in 2000 during the opening minutes of freshman orientation. We distracted each other and didn't learn anything from our tour guide. I was an RA in three different buildings, and she was there by my side, an honorary resident assistant. Our wedding came two weeks after graduation. Fifteen years later, we still live in the Binghamton area with our three kids and a pack of corgis. We met freshman year when we both lived in Smith Hall in Hinman. We started dating second semester of freshman year after going on our first date in NYC during winter break, and have been together ever since! We graduated in 2012 and have made Binghamton our home. Our wedding was small and about half of our guests were fellow Bearcats, including our photographer, wedding planner and officiant! 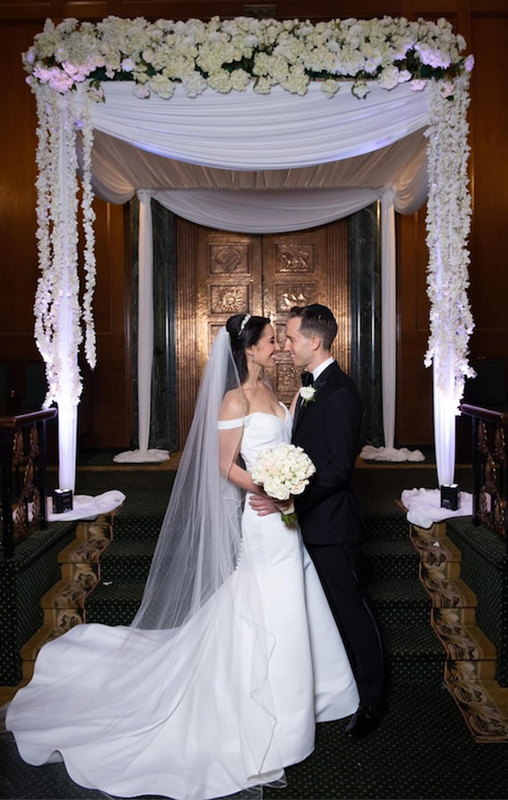 We will be celebrating our one-year wedding anniversary this June. I met my husband ten years ago when we were both students at Bing! He helped get me out of a little trouble when I lived in University Plaza, and if that’s not love, I don’t know what is! Now, we are married with a 1.5-year-old son and another baby on the way! I’m an attorney and he’s a financial analyst for Lockheed Martin. I graduated in 2013 and my husband, Jake McNally graduated in 2011. 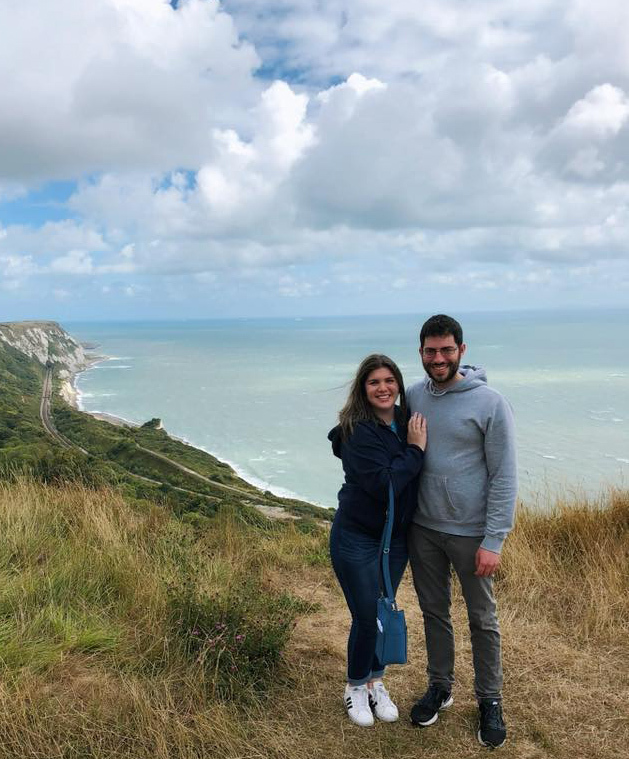 We met in 2010 on a Hillel at Binghamton Birthright trip and dated for about eight years before getting married on 11/10/18. He proposed to me at the Metropolitan Museum of Art. 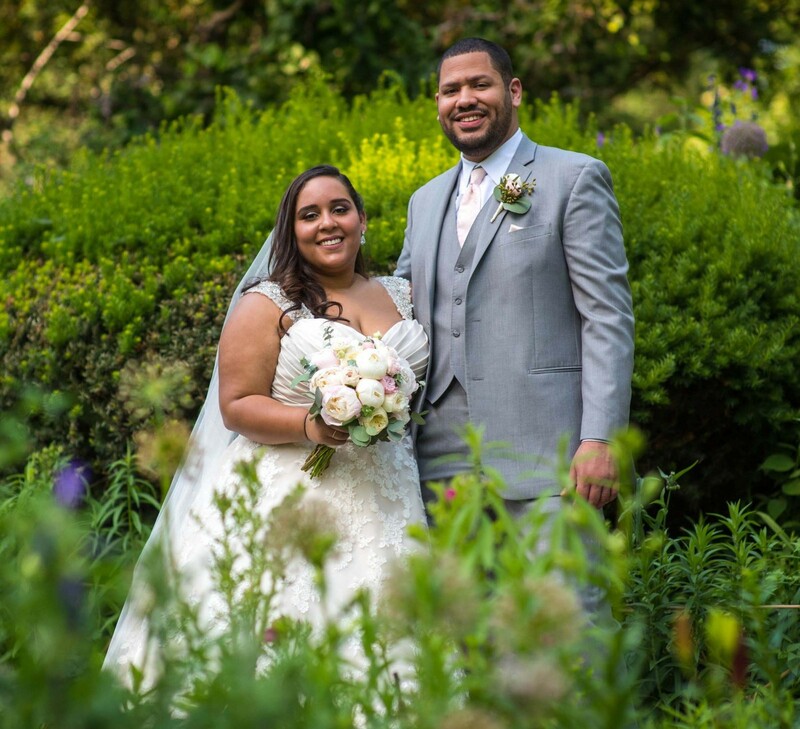 We had LOTS of Binghamton alumni guests at our wedding and our hashtag was, of course, #BUtoIDo. We met as student-athletes on the track and field team in 2011. He was a junior and a captain on the men's team; I was a new transfer student sophomore and women's team Captain. We got to know each other via time in the training room and cooking chocolate chip pancakes in between two-a-day practices at Susquehanna. Colin sprained his ankle with suspiciously good timing, maybe just to talk with me during treatment while I rehabbed my injury in the training room before and after practices. After Binghamton, we stayed together, even though life introduced some distance with medical school and graduate school in different cities. 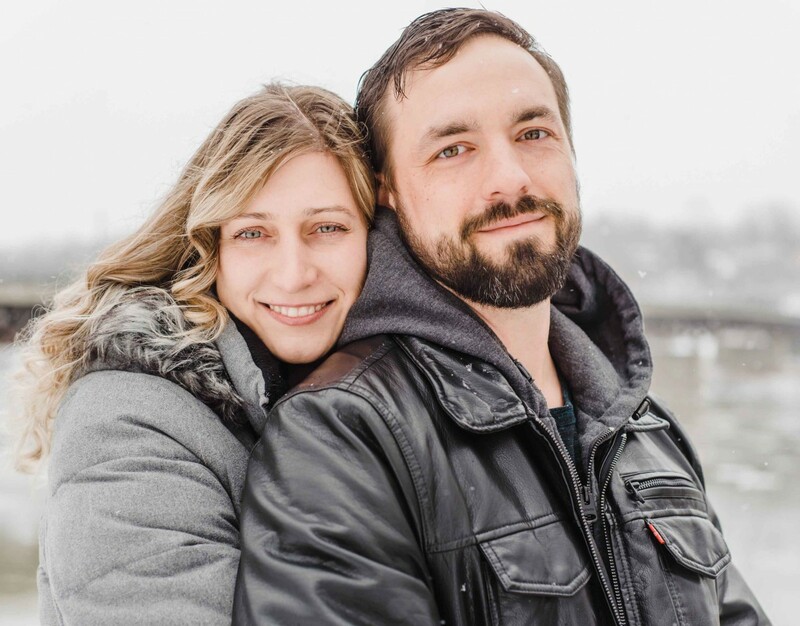 Now a little over a year into marriage and almost eight years since we met, it’s clear that what started in Binghamton has been built to last! We are the definition of opposites attract as he was born in Pittsburg, PA and I was born in Brooklyn, NY. He was a discus and hammer thrower, while I was a hurdler and high jumper. Even so, we somehow found each other on the Bearcats Track & Field teams. The beauty of Binghamton University is bringing wonderfully diverse individuals together and seeing what happens! We met in Dr. Burch’s Holocaust Literature course in the spring of our sophomore year. I was immediately attracted to how well-mannered and respectful Josh was—two very important qualities! Shortly thereafter, we started dating and continued making memories during our time at Bing. 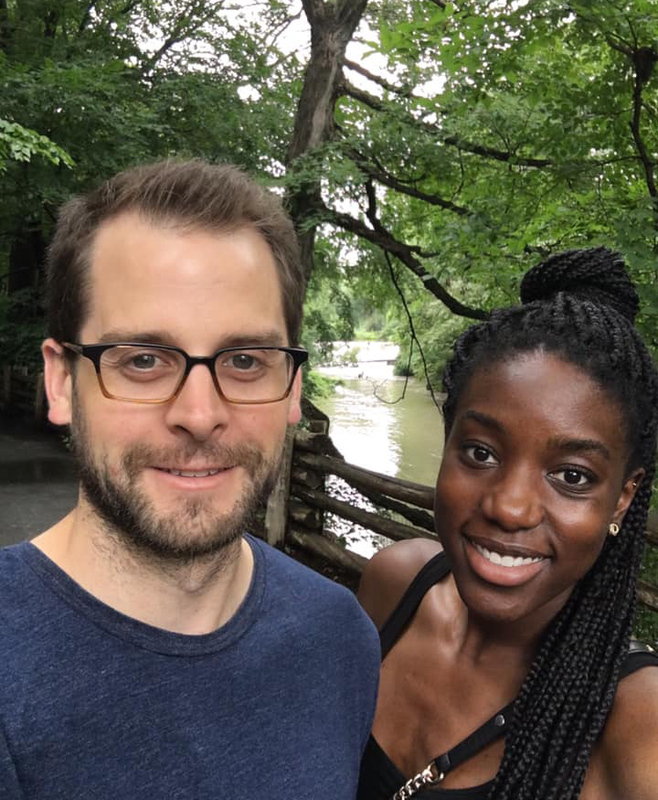 Present-day, we live together in Manhattan, where Josh works in marketing and I work in the healthcare field. I am forever grateful to Binghamton University for bringing a true gem of a human being into my life, and for a fabulous education! Edwin and I met, or better yet he said he spotted me, as soon as we boarded the bus for the Educational Opportunity Program (EOP) the summer of 2005. We became close friends, but he never admitted to liking me. He was a nursing student and would disappear for months when he went on his study hiatuses, but when he resurfaced we would talk again like nothing ever stopped. 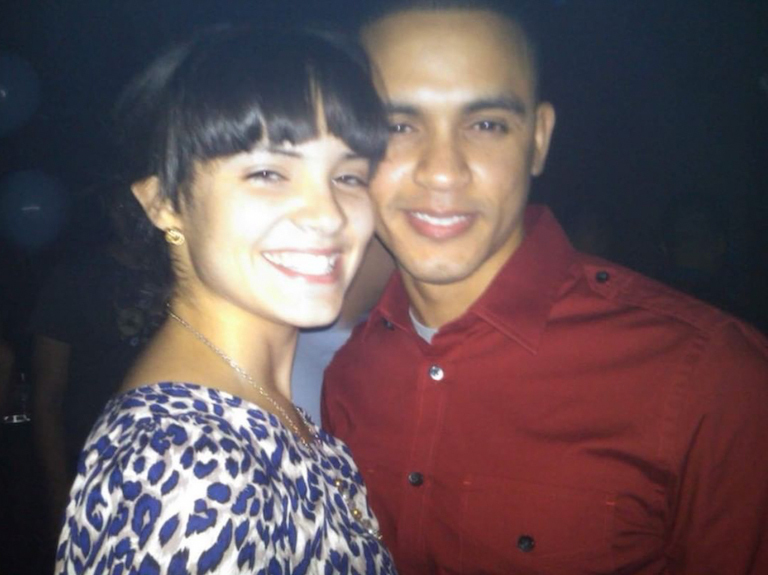 I graduated in 2008, and he remained in Binghamton to finish up his bachelor's and begin his master's. We didn’t talk much during those times and one random night he calls me while I’m out with my friends asking me, “Where are you?” I tell him where I am, which is about 45 minutes from him, and he responds, “I’m on my way,” which I didn’t believe at all. An hour later he shows up and the rest is history -- literally almost a decade of history. He always says I got a good deal in college: a top-notch education and a future husband, all for around $30k. He says if he had a daughter and he knew she would get a similar deal, he would sleep in peace. Little does he know he’s actually the lucky one. Matt and I met my senior year of college at Binghamton. We’re the same age, but he graduated a year before me and was completing his master's. We met at a gathering of mutual friends in my apartment at University Plaza, where we both lived. One rainy day during the Binghamton flood in 2011, right before the remainder of classes were canceled for the week, Matt saw me soaking wet at the bus stop on campus. He came over with his umbrella and we waited for the University Plaza bus together. We have been inseparable ever since! We always laugh at how opposites attract, as Matt was an accounting major in SOM and I was an English major in Harpur College. Matt and I were also lucky enough to be from towns only fifteen minutes away from each other on Long Island. Today we live together in Park Slope, Brooklyn. Matt is an accountant at Ernst & Young and I am a third-grade teacher at a Brooklyn elementary school. Matt proposed to me on September 8, 2017, next to the Brooklyn Bridge and we are getting married this year -- May 17, 2019! We will be getting married on Long Island, where both our families are from. I am so thankful to Binghamton University for bringing us together! Brandon and I met while living on the same floor in Newing’s Endicott Hall in 2012. I was a freshman and he was a sophomore. The first night we met, Brandon and his friends passed my roommates and I sitting on the floor outside of our room. They were trying to get into Brandon’s room to watch the show It’s Always Sunny in Philadelphia, but instead decided to join us on the floor, where we all talked for hours. We quickly became a part of the same friend group with many of our other floormates. We started dating not too long after that! We were able to enjoy the rest of our time at Binghamton together, making so many amazing memories. In 2015 Brandon received his master’s, and in 2016 I graduated with my bachelor’s degree. 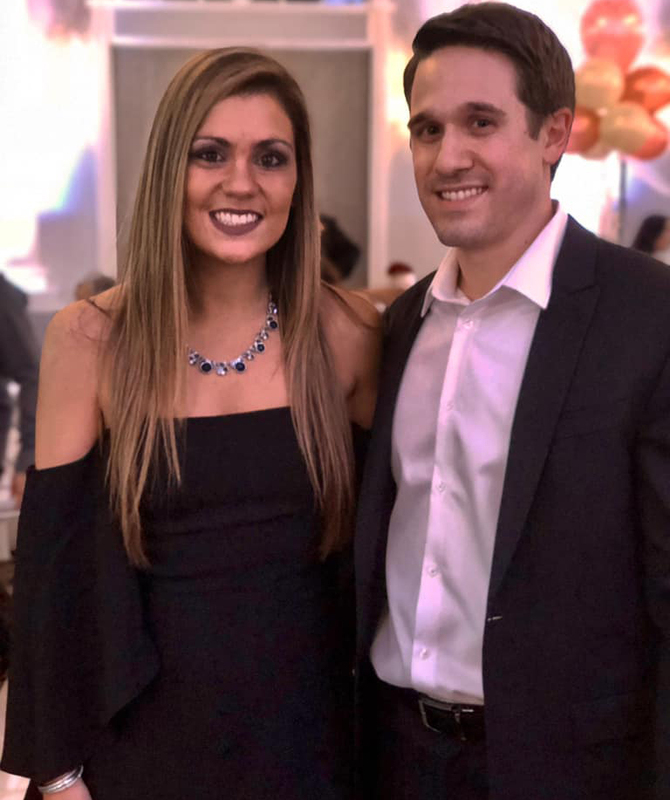 Now I am working towards finishing my master’s in occupational therapy, while Brandon works as a senior international tax consultant at Deloitte. On November 30, 2019, Brandon proposed to me at the Isabella Stewart Gardner Museum in Boston, and we are getting married next year in September 2020! I will forever be grateful to Binghamton University for bringing us into each other’s lives! 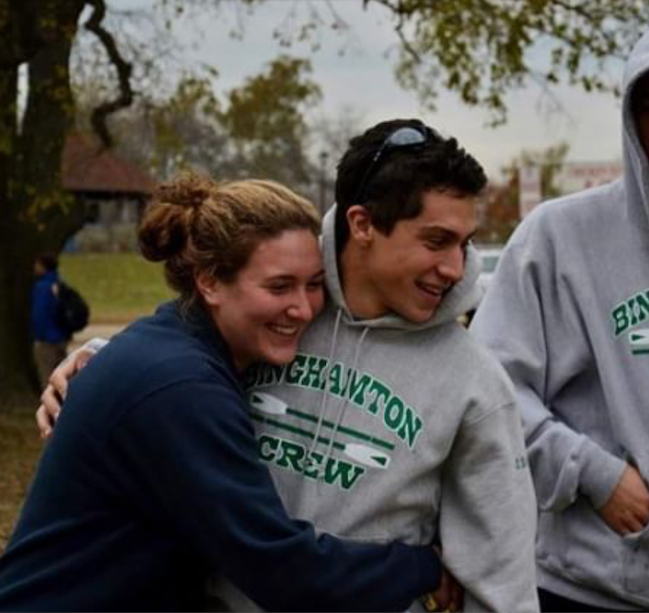 My boyfriend and I knew each other freshman year, as we were both novice on the rowing team. It wasn't until sophomore year when we both took Pop, Rock and Soul that we actually started hanging out off the water. We started dating soon after, rowed all four years together and a few months after graduation moved in together. 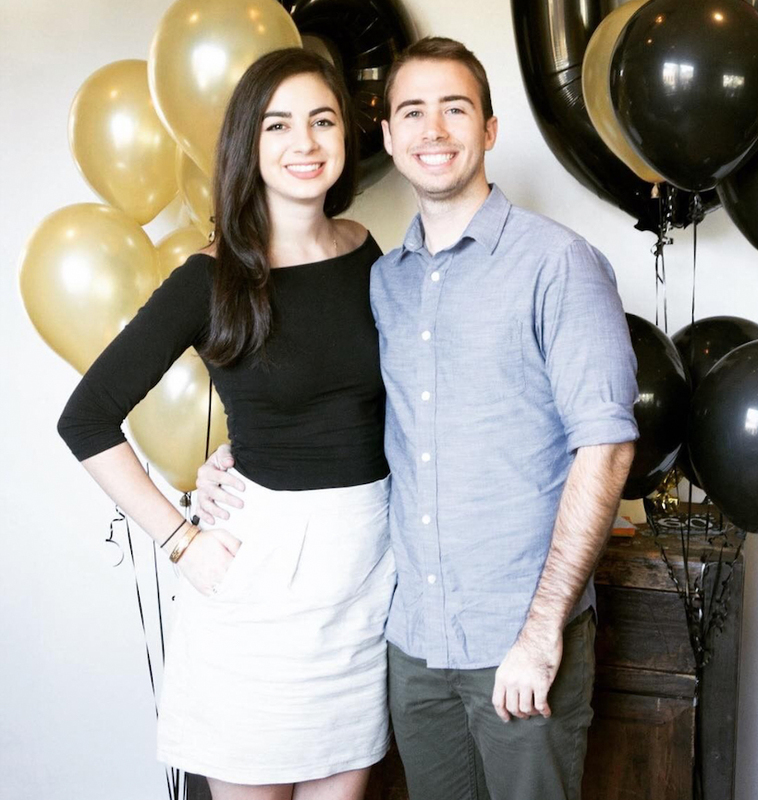 We just celebrated six years this past November! My fiancé, Greg, and I met through mutual friends in my suite in Marcy Hall (Room 214 to be exact) in the fall of 2012. We started dating a couple months later and have been together ever since! 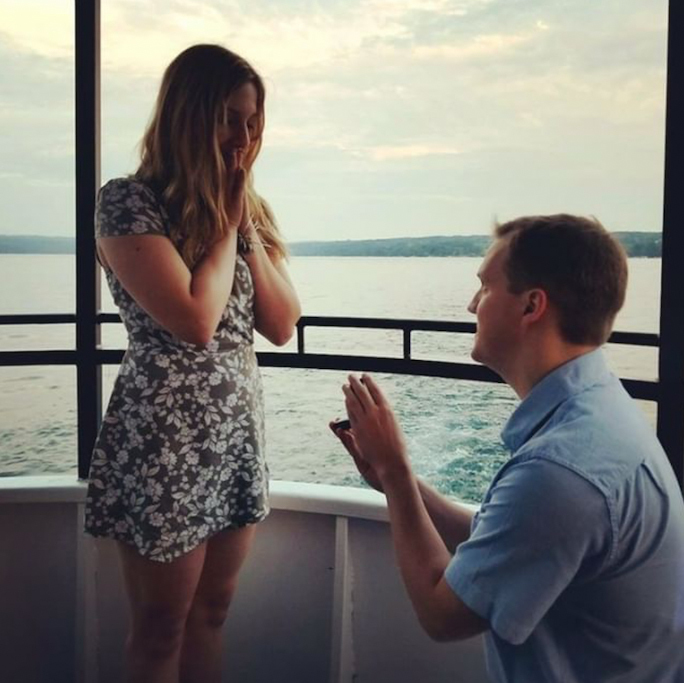 We got engaged in August of 2017 and are getting married August 2019. Binghamton has meant so much to us and is a crucial part of our love story. Our first "date" was to the Mountainview dining hall and our first kiss was at Zeta Psi. Greg graduated with a linguistics degree in 2014; I graduated with a neuroscience degree in 2015, and stayed an extra year for the BAT program in 2016. We live in Syracuse now. Greg teaches ESL in elementary school and I am an ICU nurse. We are so happy we chose to go to Bing and have so many great friends we are still very close with. We met on move-in day, freshman year, in the old Endicott, before it was torn down (we found love in a hopeless place). We’ve been together ever since that first day, and we just got engaged this past November -- eight years later! We both loved our time at Binghamton and are so happy it brought us together. 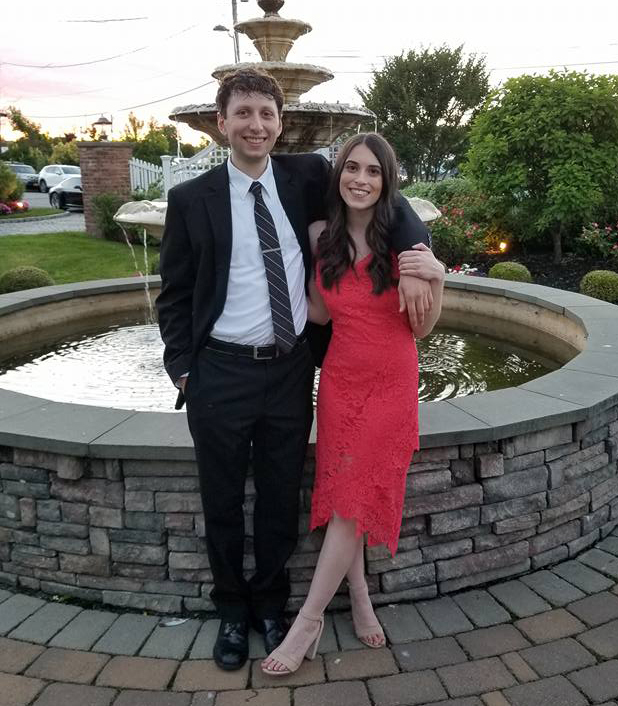 My fiancé and I got engaged in April and we are both Binghamton alumni! The funnier part is that my fiancé completely caught me by surprise on his timing for the proposal. Our friends snuck in to take photos and caught me in a Bearcat sweatshirt and one of my old Binghamton tour guide shirts! A short version of our backstory is we met on our second night of freshman year in Endicott Hall. We began dating in the first month of freshman year and have been together ever since! 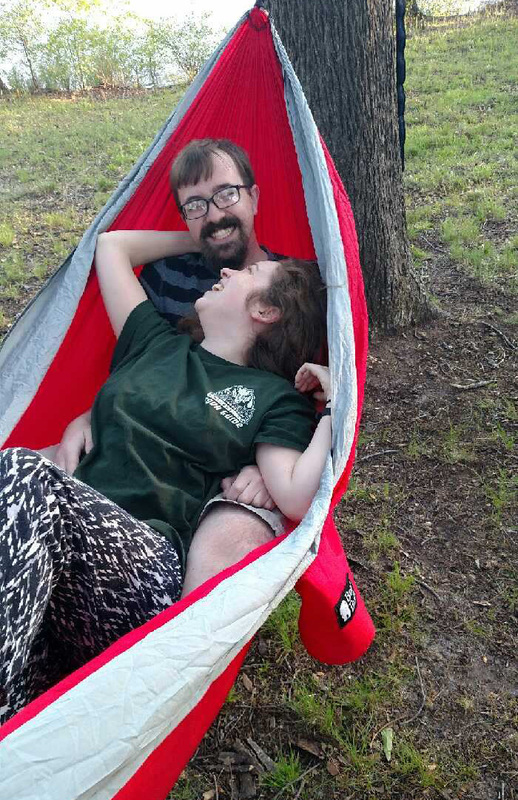 He came down to Clemson University with me while I earned my master's, and he proposed a few weeks before I graduated this May. Ross and I met my freshman year of college -- he was an RA in the neighboring building and we met at a DCP production of You Can’t Take It With You. I immediately wanted to get to know him. We started dating and after a brief interlude, started dating again at the beginning of my junior year, shortly after Ross had graduated. He visited Binghamton almost every week until I graduated in 2015. Although conflicted on whether we have been together for seven years (my vote) or five and a half (his), we are forever grateful to Binghamton for what it has given us. After graduating from Bing, I started law school in Manhattan, which meant a lot less driving for both of us. Ross was there for me through law school and the bar exam and in my first year as a lawyer. 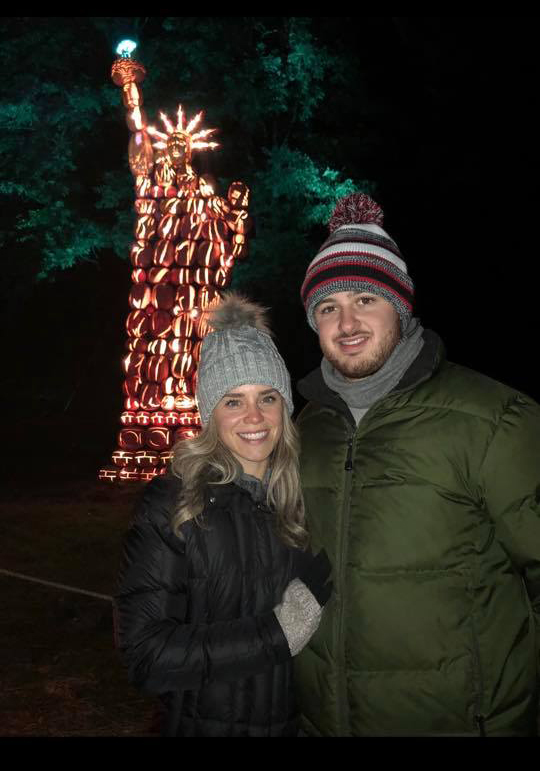 Although Ross and I travel as much as we can, Binghamton will always be the most special place we visit (and we do visit every year) because it’s where we first met. As we get ready to start the rest of our lives together, we’ll always be so grateful to the school that gave us so much. 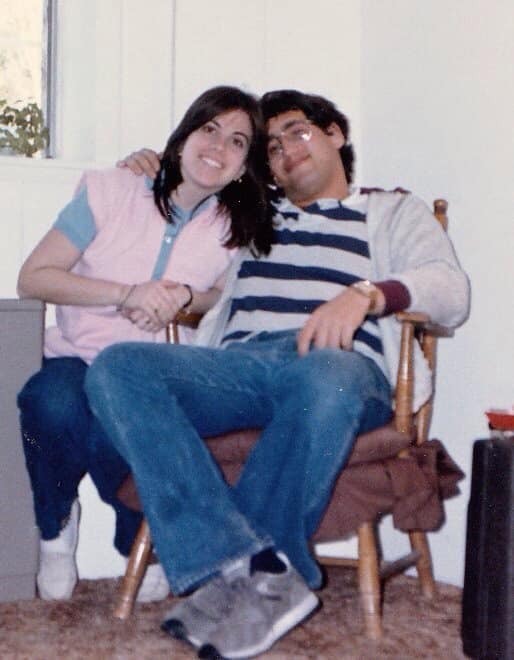 I was a senior (Class of 1985) with five weeks left before graduation when my now-husband, Bob Rosh, then a PhD graduate student, and I started dating. I had known who Bob was, because he had a large following of “groupies” as a TA of several political science classes, most notably Professor Weisband’s Poli Sci 117, but I was never his student and didn’t actually know him except for having heard him speak at review sessions. In a “near-miss”, I was taking weight training to fulfill my PE requirements and he was often in the gym, when I was as it was his only break from studying for his comprehensive exams. We started speaking at the beginning of the spring semester 1985 and haven’t stopped! We were married in 1988 and have two adult children. This picture of us was taken shortly before I graduated in May 1985. Have questions, comments or concerns about the blog, or want to be featured next Valentine's Day? See our V-Day blogs from previous years: 2018, 2017! Email us at social@binghamton.edu. Want to join the Alumni Association? 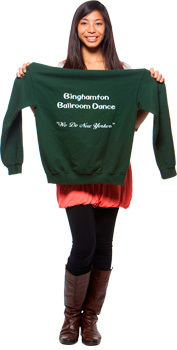 Contact us at alumni@binghamton.edu or follow us on social!